Every project is unique. And its planning too. 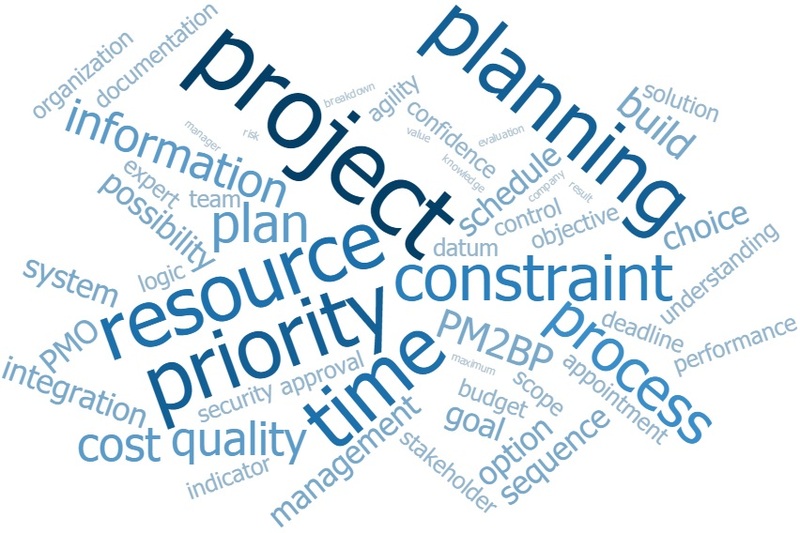 PM2BP.com will help you to create the planning process which fits right for your project. Just in few clicks. Log in or Register. It’s free yet. For whom is this site? 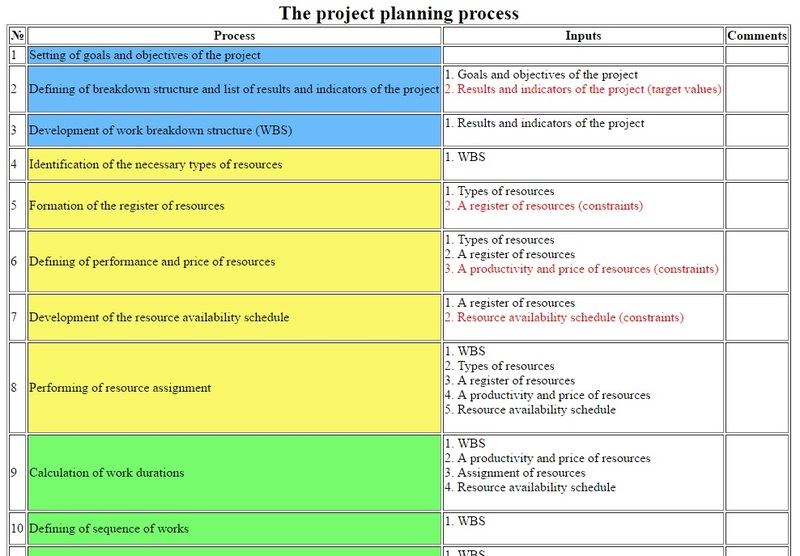 Have you ever met a clear project planning process in books or PM standards? Was it applicable in your cases? There is no unique approach at least because every project has particular priorities and constraints. Just set the priorities… and it’s done! 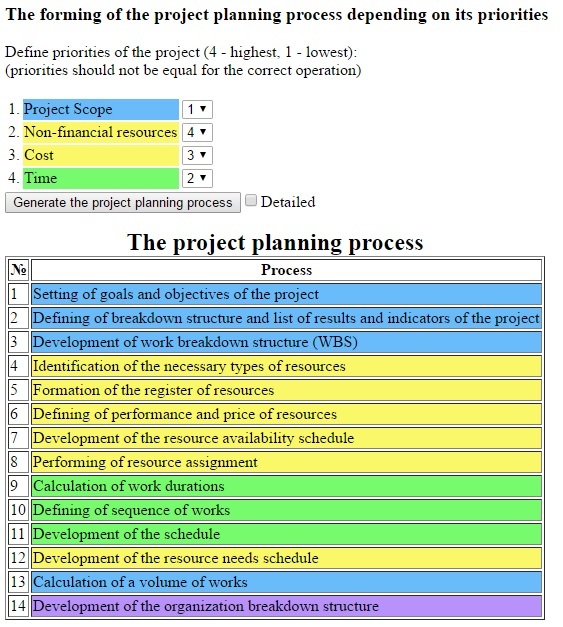 The process is formed on the following principle: after the project scope has been identified the most priority parameter should be planned first and so on in descending order on the basis of previously defined plans. This ensures more options for choosing more appropriate plan for the most priority indicators. Do you need to know what previously planned data should be used in the next step? – Check the “Detailed” option. Pay attention: only known information is used in inputs. How to use this information?